Home Lifestyle How To Fulfill Your #OneWeddingWish? How To Fulfill Your #OneWeddingWish? I understand that all you may want is a simple wedding with your close relatives. A destination wedding can be a great idea for that. You may also want a proper (moderately) big fat wedding like I do. No matter what you want, you’ll need money for that. Here are my thoughts on how to fulfill that wish in one of the most planned manners and how I plan to do it considering it would kill me to see my parents spend their life savings on my marriage. So, how do I plan to fulfill my #OneWeddingWish (es)? I know, loans are scary and many people will try to talk you out of it. But the truth is they help you get the major chunk of money for major events of your life without putting a heavy burden on you. They also help you stay truly independent and not depend on someone else’s money. Personally, being financially independent is extremely important for me. I am completely against wasting your hard-earned money on exquisite menus and decorations. But I am also completely against marring your aspirations just because you don’t have a big chunk of money at the present time. We are a generation that lives on paycheque to paycheque. We don’t have big savings. If we want to plan our wedding and fulfill that #OneWeddingWish, it’s nearly impossible to us unless we have insanely rich parents, which is obviously not the case with many of us. So, what do people like us should do? Should we just have a bland wedding because we couldn’t save tons of money in the early phases of our career? Or should we look up to others for help, which would eventually petrify us because of the mental debt we will be in? We don’t have to do any of that. We can have a wedding however we want without making our parents spend their life savings on it. We can have a wedding without cutting corners on all aspects. We can have a wedding without asking for money from our near and dear ones. We can just get a marriage loan! Again, people will try to talk you out of it. Loans seem scary for they come with interest rates. But it’s important for us to get over interest rates and truly consider the pros and cons. Yes, we do pay more than what we get and there are technicalities involved in getting a loan but consider how many years we get to pay that back. Consider how easy it is to pay the small installments as compared to gathering that big chunk of money at once, without a loan. Consider how we can have our wedding however we want without sulking over not having enough money for it. 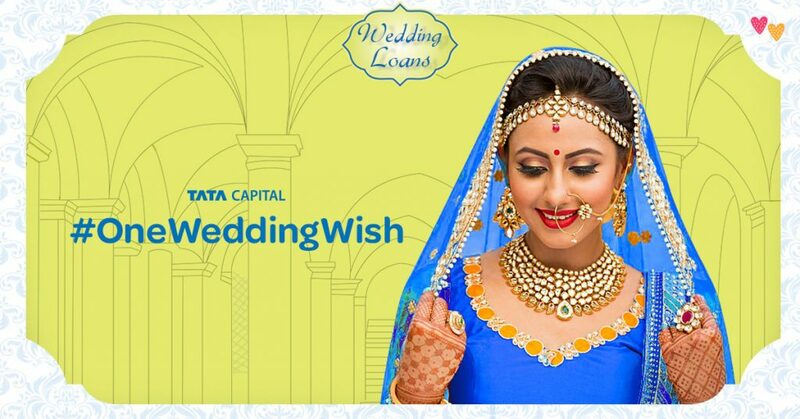 And after considering all that, if you find it worth getting a loan, then visit Tata Capital Wedding Loan Website to apply and fill in relevant details, along with the wedding wish. 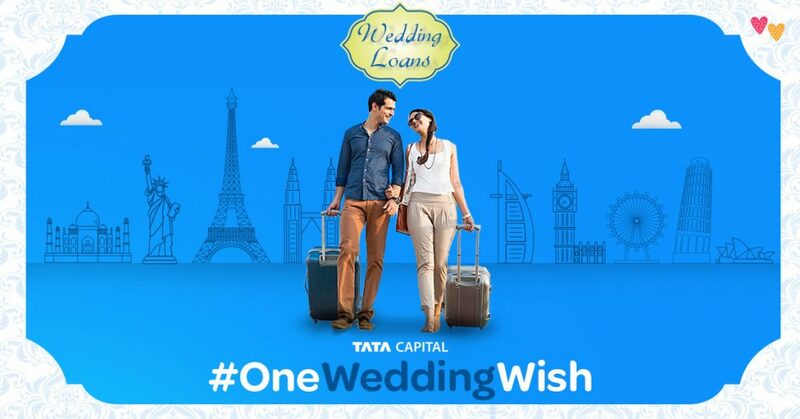 After a careful analysis of your profile, Tata Capital will process your loan. 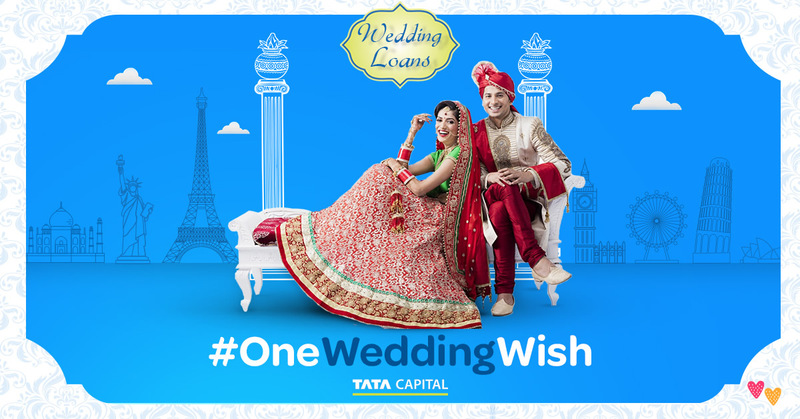 The post has been brought to you in association with these awesome people who are giving you a chance to fulfill your #OneWeddingWish. Would you consider taking a loan for your #OneWeddingWish? Nice concept. One of my cousins just got married last month and it was a chaos. I wish I knew about it earlier; would have saved them a lot of trouble.